As it turns out, homeowners besieged by pests following the onslaught of heat and rain that’s plagued the U.S. over the course of 2017 are out of luck if they’re hoping for a winter pest respite. According to the recent National Pest Management Association’s Bug Barometer™ forecast for the upcoming season, those pests that usually disappear in the fall and winter will still be looking around for a home: Namely yours. And the NJ pest control company professionals at Allison want you to be prepared. The warmer weather this year, paired with heavier rainfall in many areas, is likely to have stinkbugs and ladybugs sprouting from every possible crevice into your home and automobile, particularly as temperatures drop – and rodents will join them. Until the weather cools, the tick population will continue to soar as well, as will mosquitoes, buoyed by the overly-wet weather. Is your Home Ready for the Coming Invasion? As heavy summer pest activity continues into the cold weather season, the creepy crawly factor isn’t the only concern: Many of these pests, such as rodents, ticks, and mosquitoes, carry diseases that put the human population at risk. Prepare your home for the coming invasion. Manage your winter pest problems with the help of a trusted NJ pest control company. Learn more about the Ocean and Monmouth County services of Allison Pest Control today. It’s tempting to breathe a sigh of relief now that the colder weather is upon us. If you’ve dealt with pantry pests during the spring or summer months, you may be looking forward to a reprieve. Unfortunately, you’re not likely to get one. There are pests that really don’t mind if it’s cold outside because their home is in your cupboard. Not to worry though, because your Ocean County pest control specialists can help you. What Pests are Lurking in Your Pantry? This list is just the beginning! They feed on many of the food items you normally keep in your cupboards. The fact that your house is nice and warm makes it even more inviting for them. How do Pantry Pests Get Into Your Home? The most common way for pantry pests to gain entry into your home is through infested packages of food. You may not notice them at first if they’re in the egg or larvae stages. However, before too long they can overrun your kitchen. Here at Allison Pest Control, we are proud to be your Ocean County pest control specialists. If you have pests in your pantry, we can help you get rid of them. Contact us for help! Welcome New Jersey’s Big Autumn Pest! Clover Mites are Out to Play… and Cause Chaos in Your Home. During fall, you might notice tiny red specks moving around on your home’s exterior. These small red pests, known as clover mites, can become a nuisance as the weather cools off. Our Ocean County pest control professionals want you to know more about these fall pests. Clover mites tend to gather on building exteriors that get a lot of sunshine, since this helps them stay warm. In many cases, these pests are seen on the sides of buildings that face south, west or southwest. These bugs can end up getting inside your home by crawling through tiny gaps around windows and doors. You might see them moving around your home’s interior near your windows or on curtains. Clover mites are more of a nuisance than a bigger threat. They don’t spread disease or bite humans or pets. They also don’t cause damage to building exteriors or interiors as other pests do. However, they can infest buildings in large numbers, which can make them harder to eliminate. Getting help from professional pest control experts is the most effective way to deal with clover mite infestations during the fall months. If clover mites invade your home this fall, you can depend on our Ocean County pest control professionals for help. Contact Allison Pest Control to learn more about our pest control services in Ocean and Monmouth Counties. New Jersey Stink Bugs are Back! Certain pests manage to be a problem in both spring and fall. Stink bugs are one of the pests that Monmouth County pest control experts typically deal with. 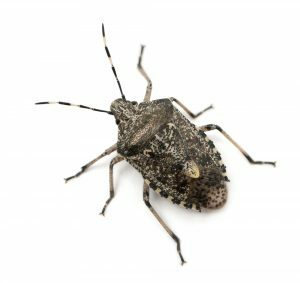 This invasive species, known as the brown marmorated stink bug, can become a big nuisance during fall as they gather on buildings looking for places to spend the colder part of the year. How do you know if you have a stink bug problem? If you see brown bugs with a shield-shaped body on the outside of your home, these are stink bugs. You might only see a few, or you could see dozens as temperatures get colder. If you do have stink bugs gathering on the exterior of your home, don’t squash them in order to get rid of them. These bugs get their name from the odor they emit from glands when their bodies are crushed. This odor can be highly unpleasant, especially if you’re sensitive to it. Instead of squashing these bugs, you can try to vacuum them up or rely on professional pest control experts to handle them for you, so they won’t leave a lingering odor on your home. If you run into a problem with stink bugs this fall, please contact Allison Pest Control. We offer reliable Monmouth County pest control services to eliminate stink bugs and other pests in NJ. November is Stink Bug Month in New Jersey! It’s Stink Bug Time Again in NJ. Call Allison Pest Control for Help. If you have stink bugs on your home or inside it, you can try using a homemade trap to catch them without squashing them. All you have to do is place a roasting pan filled with water and dish soap in a dark room or area, and shine a light over it to attract them. The stink bugs should end up going into the pan, where they’re unlikely to survive. Homemade traps aren’t always foolproof ways to trap stink bugs. If this doesn’t work, you can try to vacuum them up, then dump the bag in the garbage when you’re done. Vacuuming keeps the bugs intact, so they won’t produce their unpleasant odor. Just remember to empty the bag right afterwards, so the smell won’t stick around. When homemade traps don’t work, count on Monmouth County pest control experts to help you get rid of stink bugs. Contact Allison Pest Control if you need stink bugs removed from your home this fall. Get Help with Spiders in Your NJ Home or Business from Allison Pest Control! Spiders are no strangers to most NJ homeowners. In fact, the state is home to around 39 species. Find out more about some common species of spiders that you might see in or around your home. This brown spider is sometimes mistaken for a “brown widow” thanks to its coloring, but it doesn’t have the same harmful bite. 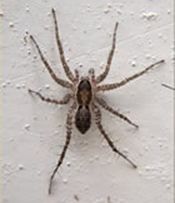 Common house spiders are often seen inside homes and commercial buildings. Garden spiders are larger spiders that are typically black and yellow. These harmless spiders weave webs outside to catch insect pests, so you don’t usually need NJ pest control services to deal with them. This black and white spider has a striped pattern that resembles a zebra. Zebra jumpers can be seen leaping around near buildings and sometimes inside them. These spiders have black bodies with a red hourglass pattern on their abdomen. Their venomous bite makes them one of the more dangerous spiders to have around, although they’re shy and stay hidden most of the time. These long-legged spiders are usually found in basements, sheds and other dark areas, although you might see them on your ceilings as well. If spiders have invaded your home, our NJ pest control services can get rid of them. Contact Allison Pest Control for more information on our services for NJ homeowners.